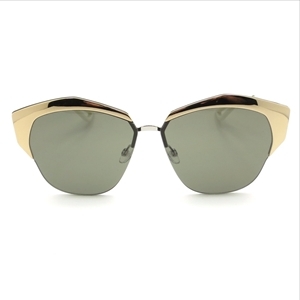 Dior Mirrored 1206J is a futuristic looking frame with classic elements of a clubmaster with a geometric twist. Dark Grey lenses which is a great contrast to the rose gold/ Palladium of the metal. The Dior Mirrored sunglasses are covered by the 12 month no quibble sendoptics guarantee.